Dear Suzie, I recently discovered my husband had a four-month affair behind my back. It’s plunged my heart into darkness and my life into turmoil. Now I’m struggling to decide not only whether or not to stay in this marriage, but also whether or not I can ever forgive him for this affair. I can certainly understand your predicament. In fact, your story reminds me of something that happened to a girlfriend of mine who was also having a similar struggle — deciding whether or not to forgive her husband for cheating on her. When out of the blue, she received a letter from an unknown country lawyer. Turns out an older relative had passed on and left my friend a legacy in his will. At first, my friend was excited, but then she began to feel a little apprehensive because not only did she not remember the relative, she wasn’t sure it was right to collect a legacy from someone she didn’t remember knowing. As she packed her bags to make the trip to the country to visit the office of the lawyer who sent the letter, my friend began to think about all the memories she could recall about the older relative she had never met but knew she had known. Try as she might, very few memories came to mind, and even those that did were vague and hazy, like a movie she’d seen a long time ago and couldn’t remember the names or faces of the actors who played the parts. On the day she left home, the skies were overcast. The sun was always weak in that part of the country, but on that day, it was especially anemic. “Going for a long drive deep into the countryside is a good thing,” she told herself. “It gives me time to process all the things happening lately in my life.” Because like you, my friend was also experiencing the push-and-pull of deciding whether or not her cheating spouse deserved forgiveness. These thoughts kept her going back and forth between breaking up and battening down the hatches. What should she do? My friend just couldn’t make heads or tails of his behavior. She’d been brought up to turn the other cheek, but now she found herself questioning that belief. Is forgiveness really the answer? Surely, not everything is worthy of forgiveness. Aren’t there some crimes that are simply unforgivable? Child slavery? Serial killing? Mass murder? Men who lie like dogs to their wives while sleeping around with their personal trainers? It’s all very confusing. Above all else, my friend wanted to do the right thing, but she was finding it hard because she simply didn’t know what the right thing to do was. So she just kept driving, and gradually the city noise melted away, and the stillness of the countryside rose up to take its place. Before she knew it, she had driven more than four hours to a part of the country where she’d never been before. Is the grass greener in the countryside, or does it just look that way? Are rural roads more welcoming than city highways, or does it just feel that way? Is the country air fresher because it rolls over hills, valleys, lakes, and fields of wheat rather than bricks, blocks, cement, and office buildings? Whatever the reason, the drive allowed her mind to become more and more quiet. Even though she discovered no answers — for a while — there were also no new questions. At about 3 in the afternoon, my friend arrived at the office of the country lawyer who had sent the letter. His was an old colonial building that hadn’t seen much change in the last century. The only name on the front door matched the name of the lawyer she had come looking for. So, with some apprehension, she opened the door and walked in. Inside was not at all what you might expect. Rather than the dark wood paneling typical of older buildings, the foyer was alive with color. Sunny yellows, pale blues, deep burgundy draperies, with exotic flowers potted everywhere — whoever had decorated certainly took the optimistic approach. The lawyer’s door opened to what can only be described as a typical country lawyer’s office — law books crammed into shelves that towered all the way to the crown moldings, stacks of papers, paperweights, open reference books, dust, catalogs, print magazines, and ashtrays disarrayed on a massive oak desk, behind which sat the man she’d come to see. Instantly, my friend felt a twinge of disappointment, which surprised her, because until then, she hadn’t realized that part of her had secretly hoped to learn of a financial gain. But that feeling was quickly replaced by a stronger emotion: curiosity. If this elder relative had not left her money, then what could it be? And if the possession was so valuable, why pass it on to someone you barely know? “Here it is,” said the lawyer, handing her a large rectangular box. “I will leave now to give you some privacy, as you explore its contents for the first time.” With that, the lawyer left the room, firmly closing the heavy doors behind him. Gingerly, my friend sat with the box on her lap for a few minutes trying to work up the courage to open it. When she did, she was amazed to find a stash of old black and white photographs. bright eyes looking at cakes and candles… long-ago trips to the beach… shiny tinsel and ornaments hanging on a Christmas tree… a picnic at the lake… high school football teams, framed portraits, school groups… even an assortment of country maps no longer accurate. The longer she looked through the pictures, the deeper the sense of grief she felt. There was no doubt these were her relatives, once alive, now gone. They too must have had their joys, their struggles, their problems, but those problems had faded away now. Suddenly, my friend found herself crying in earnest for all of these people, who once had lived and loved, but were now gone forever. How much life fades like a photograph. Just like her old relative, she’d been collecting pictures of the past; storing up hurts and memories of painful experiences in the shoebox of her mind. Lately, she’d been spending a lot of time revisiting those old images again and again. Beneath the stack of old photographs, my friend discovered a bundle of old letters… about 25 never-opened letters… all stamped “Return to Sender”. On closer inspection, my friend was shocked to discover that all 25 letters had been addressed to her own mother! My friend sat stunned for a long time, trying to decide whether or not she should open them. Then, she realized she must’ve been meant to read them. Two dozen letters, some with just a few lines, some with pages and pages of writing. She decided to begin reading them chronologically. As my friend read more and more of the written words, a realization dawned. The man writing these letters was her biological father, the woman he was writing to was her mother! Time stopped for my friend. Until that moment, she had known next to nothing about her dad. Now here she was, holding in her own hands, letters written by him. But these letters had never been read. They were beautifully worded and elegantly written letters of apology, letters begging forgiveness, letters asking for reconciliation, even a poem begging for a second chance. It turns out my friend’s father had been unfaithful to her mother during the war. After discovering the affair, my friend’s mother had left her husband (while seven months pregnant with my friend) and moved up north, where she eventually remarried, and never bothered to tell my friend about her real father. The force of this revelation crashed into my friend like a 30-foot tidal wave. Why hadn’t her mother told her the truth? How could she have kept something like this a secret for so long? How could she not have told her about her father? Didn’t she realize that her bitterness, hate, and unforgiveness had ruined three lives? What kind of mother would do such a hateful thing? In her vengeful effort to punish her partner, my friend’s mother had punished everyone around her. The price? A lifetime of loss that could never be undone. My friend realized that what her father had done was wrong — but what her mother did was even worse! That’s when it occurred to my friend: she was in a situation identical to her mother’s all those years ago! Just like her mother, she was struggling with how to deal with an unfaithful spouse, trying to decide whether or not to keep her family together or break them apart; struggling to find the best response: forgive or stay angry. This realization so stunned my friend that she could only sit in silence for a while. Not sure what to do, she didn’t do anything. Slowly, the minutes ticked by and the silence stretched on. And then, it occurred to her… Her mother had refused to open the letters from her father all those years ago for the same reason she was now afraid to let her husband back in the house. The reason? Fear. Plain and simple. Both her and her mother were so afraid of being hurt again, so afraid of the pain of the past, that they allowed their fear to shut the door on the future. This explained so many things to my friend. Looking back, it became clear why her mother had always seemed unhappy. As a little girl, my friend used to try to make her mother happy, but she never could. Her mother just seemed to be perpetually angry, sullen and bitter. Children don’t care whether their parents are perfect or not. A child doesn’t measure a parent by the same yardstick as a wife does. 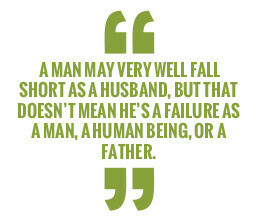 A man may very well fall short as a husband, but that doesn’t mean he’s a failure as a man, a human being, or a father. Now, my friend was facing a choice. She had come to a place in the road that everyone gets to at some point or another. She must decide… will she repeat the pattern of fear, or learn the lesson of forgiveness? What does reconciliation have to do with forgiveness? In her heart, she knew the two weren’t related because pain is found in unforgiveness, not in divorce. The real cruelties are carried out by those who withhold forgiveness, not by those who grant forgiveness. In that moment, my friend began to see her father’s letters asking for forgiveness in a whole new light. His words spoke to her on a whole new level. It was as if by leaving them for her to read, her father was once again reaching out for forgiveness. He was telling her what he truly valued. He was letting her know that his most prized possession and his deepest wish wasn’t money, property, or trophies. It was his need to be forgiven. He had tried all those years ago with her mother and failed. Now he was trying again with her. Could she do it? Would she forgive him? Looking again at the pleading letters (written but not opened) and the old photographs (prized but not permanent), a thought flashed into her mind. 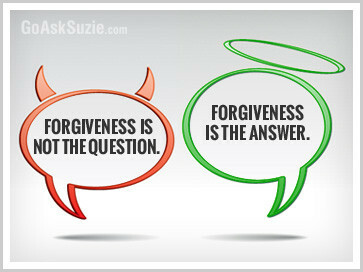 Forgiveness is not the question. It’s the answer. In that moment, my friend said she felt as if a weight had been lifted from her heart, and in that moment, the darkness left and a lightness came over her. If — she thought to herself — she could have compassion for her father, could she not also have compassion for her husband? And if she would ask her mother to release her father from the terrible punishment she’d imposed on him, could she not also release the father of her own children? And if she could see that her father was not a monster — just a man with flaws like other men — could she not see that the same is true for ALL men, including her husband? In the moment she forgave one… she forgave all. 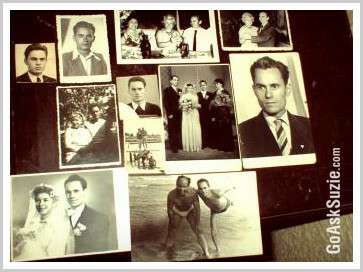 Tenderly, she gathered up a few of her favorite pictures of her father as a young man and a soldier, then returned the rest of the contents to the country lawyer. “I have taken what I wanted from within.” she told him, “You can discard the rest.” With that, she got in her car and headed back to the city, leaving the past behind. To this day, she couldn’t tell you exactly what happened on that trip, except to say that it was something really important. 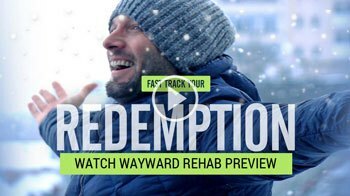 Now that you’ve heard my friend’s story… what about yours? Obviously, you’re at a crossroads in your own life. 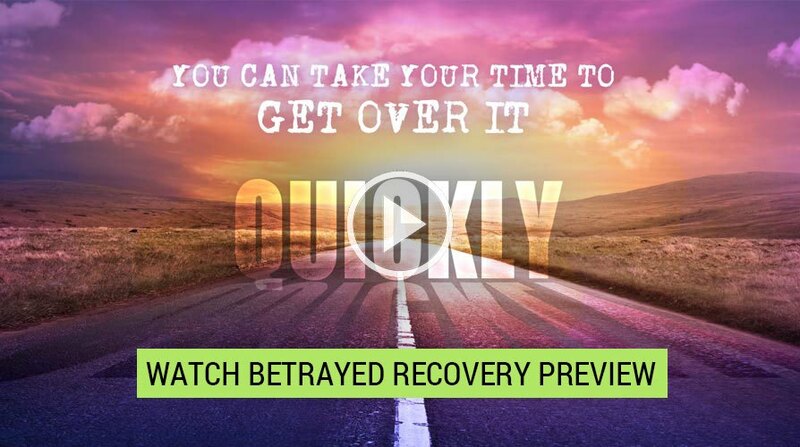 You have to decide: do you walk away, or rebuild? And if you stay, should you (or could you) forgive? If so, then ask yourself the same question my friend did. 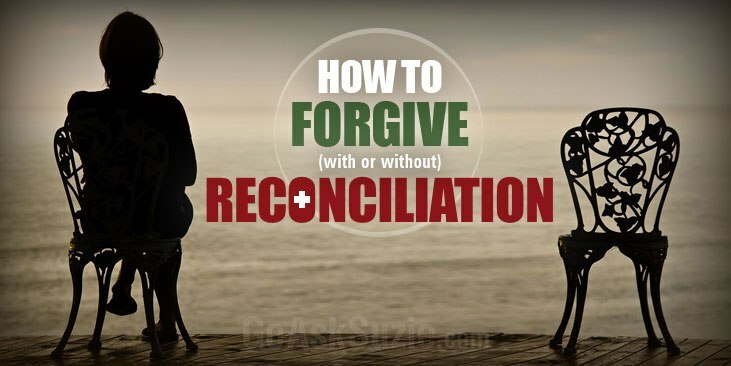 Key Question: What does reconciliation have to do with forgiveness? The answer is… nothing. Like ice cream and apple pie, reconciliation and forgiveness do go well together, but they are not inseparable. 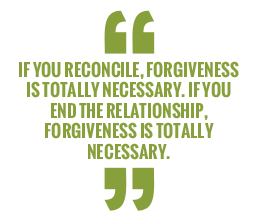 Key Insight: If you reconcile, forgiveness is totally necessary. If you end the relationship, forgiveness is totally necessary. For the relationship to survive, you must forgive. 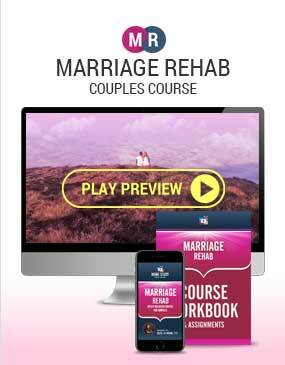 For you to survive (with or without the relationship), you must forgive. Here’s the beautiful truth: if you ever want to see and feel the return of love, trust, and happiness in your life, then forgiveness is the bridge that reconnects you with those higher experiences. If you withhold forgiveness, you burn the very same bridge you yourself must use to get into heaven. Just like my friend, I too have seen the true cost of unforgiveness — played out in my own life and the lives of my clients. I have observed men who are quick to end relationships after the discovery of an affair but fail to end the grievances, anger, bitterness, and hostility… sometimes holding on to their resentments for 5, 10 or even 30 years, as if they were cherished friends rather than emotional parasites. And I’ve watched women lug their “bitterness baggage” from one relationship to another, and then pass it on to their children like dysfunctional inheritances. You can certainly follow in those footsteps. No one can make you forgive. However, I have a feeling… since you took the time to write… that it’s not what you want. Key Insight: Forgiveness is for you. When you forgive, do it for yourself — not as a favor to anyone else. This is why it’s the ultimate gift of love, because it benefits the giver more than the receiver. How Can Forgiveness Be For You? Simple: No thought leaves the mind of the thinker. (Think about that.) This means that all thoughts are boomerangs. The instant you think it — you feel it. This means you can’t punish anyone in your mind without punishing yourself. Imagine, sticking your thumb in your eye in an attempt to poke someone else’s eye out. This is what you do when you withhold forgiveness from others; you withhold goodwill from yourself. It sets YOU free first. It allows YOU to rise above. It lets YOU out of darkness. It lightens YOUR load. It releases YOU from the harsh, bitter, and hateful thoughts in your own mind. Forgiveness cleans out YOUR closet. It opens the windows and basements in YOUR emotional house. When you forgive, YOU are the one that tastes, feels, and enjoys the last laugh. Every single thing on that list brings more benefits to YOU than to anyone else. This is why true forgiveness is called the ultimate gift of love. Imagine if everything in the world worked like this! Imagine if every gift you bought friends… you immediately received that gift yourself? Wouldn’t you be out buying your friends cars, boats, and homes right now? Well, forgiveness works exactly that way. In the instant you give it, it is given back to you. Which brings me to the final set of questions. Key Question: Who would you be without all the old hurts weighing you down? What kind of parent would you be? What kind of friend? What kind of adult? What kind of partner? What kind of mentor, teacher, and example would you make? Next question: How would you be feeling right now if you had no past pain disturbing you? Would you be feeling more loving, or would you be feeling more anger? Final question: From which state do you believe you make your best decisions, from fear or from love? 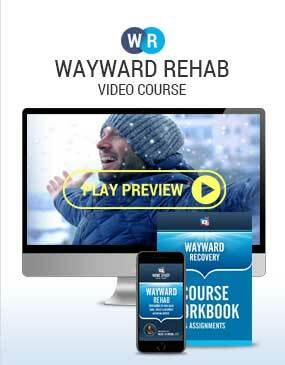 If you believe that you make better decisions from a place of love (not fear), then I suggest you enroll in my complete home-study for the Betrayed Partner. 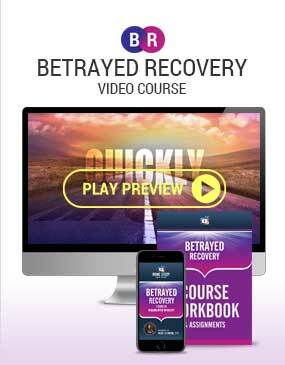 You and I will go through each one of the seven steps to help the betrayed partner move out of fear, anger and unforgiveness and into love, closure and letting go. My approach is only one of the paths that can lead you through forgiveness. It’s not the only one. If you belong to a spiritual community or see a good therapist or life coach, chances are you can find help there as well. The key is learning that you don’t have to stay in darkness a moment longer than necessary because you always have the power to forgive and free yourself. 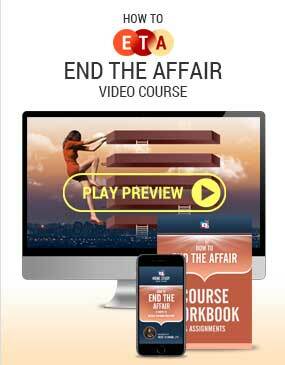 Take that knowledge with you into the future. You are always free because you can always forgive. Therefore, no weapon formed against you can prosper. No pain can enslave you. Remember, you are the master of your mind and the captain of your soul. That’s because with true forgiveness, life has put the keys to freedom in your own hands.